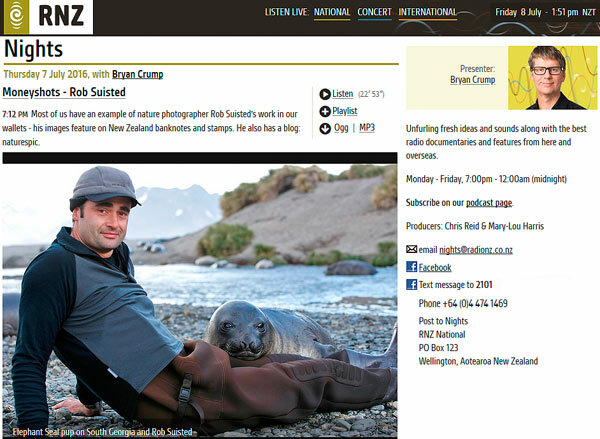 Had an enjoyable interview last night with Brian Crump on Radio New Zealand. He was keen to talk about my photographs on the new New Zealand bank notes (shown below). Listen to the interview here. We’ve had lots of nice feedback about it, thanks. Just had my 10th and 11th books hit the book shops; very satisfying to see them arrive. Another interview by Simon Miller on Radio 95bFM, about my new book Majestic New Zealand, recent adventures, and conservation. Rob had a great long interview with Kathryn Ryan on Radio New Zealand National yesterday. Have a listen here to hear Rob speak about his new book, life and some of his great adventures. Any thoughts? 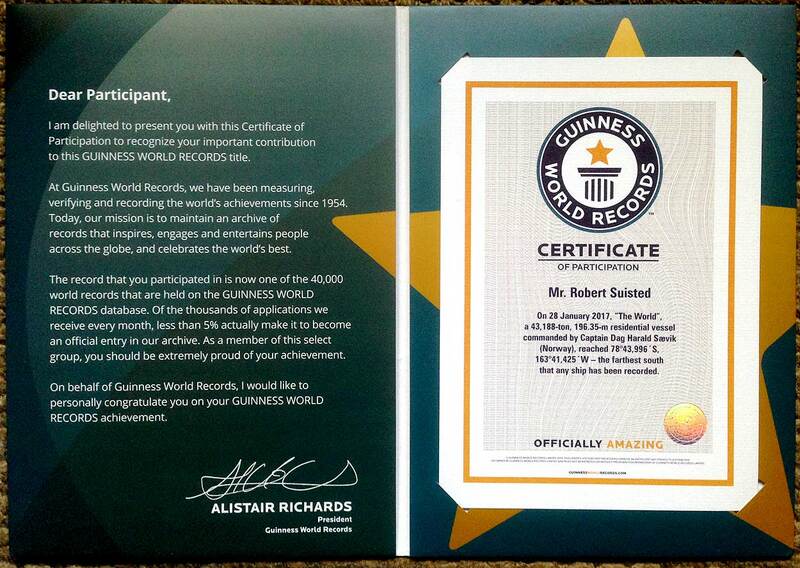 Rob would love to hear your feedback! Just interviewed on my old Varsity Radio Station Radio Active FM. Great fun interview with Simon Smith and Zelda Edwards about my new book, recent adventures, and life. Really enjoyed the chat. I’ve just been interviewed by Graeme Hill on RadioLive for EnviroNews, about my new book Majestic New Zealand, recent adventures, life and a bit of philosphy. Click here if you missed it live and would like a listen. 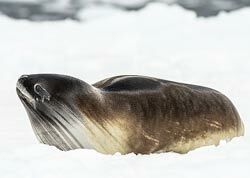 Just returned from an amazing southern journey to the Ross Sea, Antarctica. This year had a twist though; we broke the furthest south a vessel has ever navigated on earth. 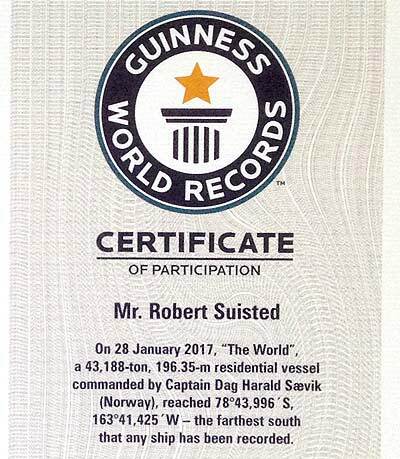 Furthest South by ship ever – MV The World, Bay of Whales, Ross Ice Shelf, Antarctica. 78°43•997´S, 28 Jan 2017. 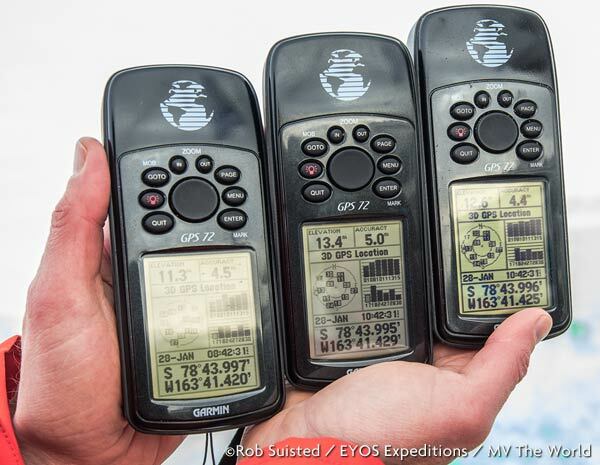 ©Rob Suisted /EYOS Expeditions / MV The World. 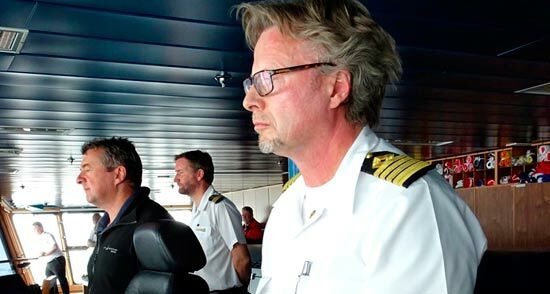 Capt Dag H. Saevik, Master of MV The World, and Rob McCallum, concentrating on furthest south record. 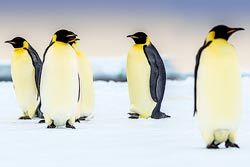 Other noteworthy experiences included seeing Ross Seals (the least seen seal on the planet, and the first seen by Rob in 18 trips south), and an abundance of Emperor Penguins on the pack ice this year. 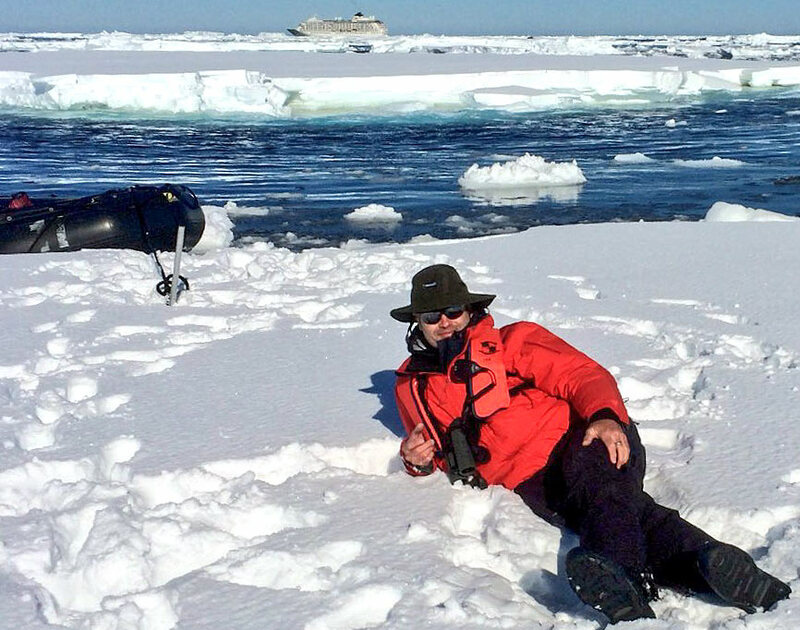 Rob Suisted was assistant expedition leader onboard MV The World, the world’s largest private yacht, working with expedition leader Rob McCallum of EYOS Expeditions (who specialise in creating cutting edge expeditions around the world). You can see a few of Rob’s tweets relating to the voyage here. Or, have a look at Rob Suisted’s extensive Antarctica photo library. After a 3 year gestation, our Molesworth Station Book is done – one of the most satisfying book projects so far. Harry Broad is the author, and I’ve produced the photos. It’s been an incredible adventure. The full story of this Robinson Muster is also written up with some photos. Check out some Rob’s favourite Molesworth Station images collected over 3 years. Special thanks to Landcorp Farming Ltd, Department of Conservation, the managers of Molesworth (Jim and Tracey Ward), Craig Potton Publishing, everyone who has featured in the book, and especially the many people who worked hard for us to make the project successful. Thank you. Just had an enjoyable Radio New Zealand interview with Harry Broad and Kathryn Ryan. You can listen here to Harry share some wonderful stories he’s uncovered through his research (I never get sick Harry’s colourful telling), and I attempt using words to explain my visual portrayal of the Station and experiences. Books are expected in book shops from the 16th September 2013. 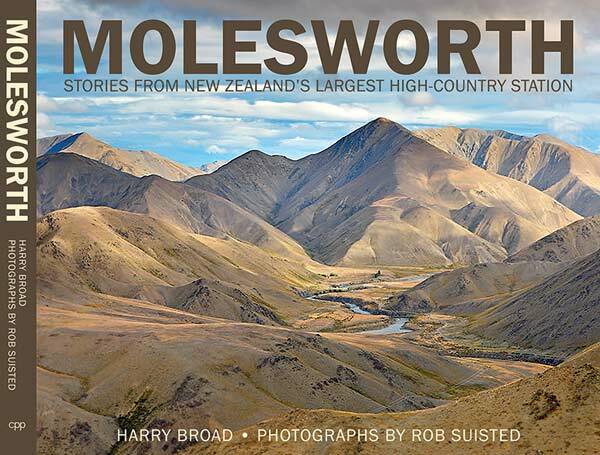 Find it on the Craig Potton Publishing Website: Molesworth; Stories from New Zealand’s largest high-country station. Harry Broad with photographs by Rob Suisted. Craig Potton Publishing, Hardback with jacket, 250 x 310 mm, 192 pages, plus map insert. ISBN 9781877517167. September 2013. We’ve had a busy week on publicity with radio, press and TV interviews which has been great. National book stores are stocking it. Paper Plus Group has it in most shops now, and Borders and Whitcoulls have good stocks. Also, in Wellington, you’ll find it in the Te Papa Store. 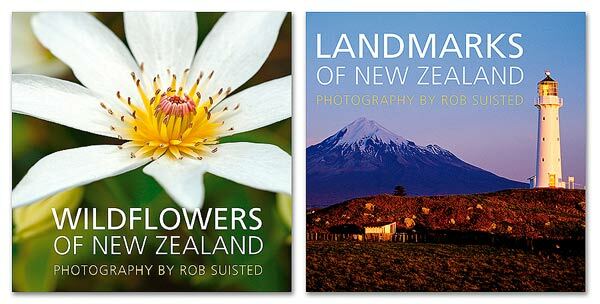 “Rob Suisted is one of New Zealand’s premier wildlife and scenic photographers and his latest book Majestic New Zealand (New Holland, RRP $59.99) confirms his place among the elite. This book is a portrait of four major themes in the landscape; our statuesque mountains and volcanoes, stately rivers and lakes, the ever-changing coast, and our fertile farmland. A collection of 144 pages of sublime photos, Suisted’s book is supplemented with quality text by award winning travel writer and photographer Liz Light. It makes a wonderful coffee table addition for anglers, hunters, and, oh yes, even dairy farmers – three groups, which above all, need to understand the majesty of our environment and the need to take care of it.” Issue 66 Fish and Game Magazine. You're viewing search results for radio interview.